I have always found dreams to be most fascinating. Interestingly, my guides have taught me that there are, in fact, three types of dreams. Many dreams are just a result of some of the mundane information we take in on a daily basis. These are usually the kind of dreams which make no sense at all. Some dreams are simply reflective of both our fears and desires. For example, swimming close to sharks would be an obvious fear for most people, whereas winning the lottery is what a lot of folks would love to happen. Finally, there are dreams which contain spiritual messages. These dreams are generally predictive in nature and is one of the ways that spirit chooses to show us a glimpse of the future. Therefore, if you have a dream which is colorful, incredibly lifelike and emotive in a positive kind of way, it could be that your guides are trying to tell you something. Furthermore, if that dream should become repetitive and more and more intense each time you experience it, this is a likely sign that what you have dreamt about is due to manifest. The common denominator in most dreams is that they tend to contain a lot of symbolism. But what if you do not understand that symbology and the meaning behind it? Should you be having this problem, the following common dream symbols and interpretations may be of use to you. Flying is a very universal dream for children to have. However, in adults, it can symbolize that they are feeling most confident about their life, i.e. being free from stress and anxiety and looking forward to the future with excitement. Dreams of flying can also represent a recent stressful situation, i.e. emotional or physical, which the dreamer has effectively walked away from in reality and therefore feels somewhat ‘airborne’ as a result! Falling is one of the most widespread dreams people ever have. As to what it represents, however, depends on how you felt while you were falling during your dream. Did you feel out of control and afraid? If so, this can mean that you are currently dealing with insecurities and anxieties which are, as yet, still suppressed. On the other hand, should you have been enjoying the experience of falling, it means you welcome change, rather than fear it. Dreams about death and dying can be scary, but it does not typically indicate impending doom, and should not, therefore, be taken as literal. What this type of dream tends to symbolize is changes, endings, transitions, and the art of allowing yourself to let go. Should your dream involve the death of another person, then this may indicate that you need to really look at how much you appreciate and care for them in reality. There are slight variations as to what this dream means depending on whether or not the tooth has fallen out, or it is crumbling, or just chipped. 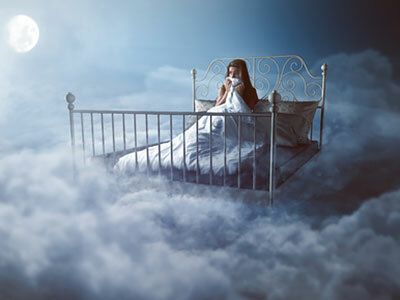 Nevertheless, these type of dreams tends to symbolize some kind of personal loss, the fear of getting older, or any painful changes you may be going through. While this type of dream can be quite unpleasant, it can have a positive meaning. For example, losing one’s teeth is very often a sign of enhanced personal growth, rebirth and renewal. It represents a time to take stock of your circle of influence, i.e. those you allow into your life and most importantly, observe how you feel about them. True, fire can destroy. However, it can also transform, purify, rejuvenate and illuminate, as well as reflect the suppression of sexual desires. When dreaming about a fire, it is important to ask yourself how it was behaving at the time. Did it provide, for example, comforting warmth, or was it uncontrollably ablaze? Now apply that if you would to your life, i.e. are you feeling somewhat burnt out, or ready to rise from the ashes like the Phoenix? Water is often associated with the unconscious mind. It is crucial, therefore, that you pay careful consideration to the condition of the water you dream about. For example, are you dreaming about a placid lake, being thrown around in some rapids, or heading over a waterfall? All of these are reflective of how much in control, or out of control, you feel you are in your life. Please also take note of the water’s color as this is often associated with emotion. Is it dark green, blue or black in color? If so, this can indicate that your unconscious emotions are most deep and heavy. Ask yourself then if you are entirely comfortable in your personal depths? Perhaps the water is red and if so this may symbolize suppressed feelings of passion or anger. Before interpreting your own dreams, I would always advise, first and foremost, to never take them literally. I, for one, had a dream that Darth Vader himself arrived at my doorstep, on my birthday, bearing gifts. Trust me it did not happen! The second piece of advice is to keep a dream diary or journal. This can simply be a notebook you keep at the side of your bed, or an app on your phone. Should you wake at night from a dream, you can jot down your dream notes and keep a record of it. When we wake from our dreams, be it early or late, we do not always remember what they were about later on in the day. Keeping a diary is therefore essential if we want to interpret the meaning of what the spirit world, or even our own subconscious is trying to say to us. On a final note, should you have a dream that you just do not understand and is not included in the above, then please do not hesitate to get in touch with me and I will gladly look at your dream and give you my personal spiritual interpretation of it. Sweet dreams! Lucinda is a highly trained Intuitive and Empath, living in a beautiful village in North Yorkshire, England. She possesses the rare gift of understanding a client's personal pain and has been through many challenges, herself, which has only made her stronger! It is both her calling and her happiness to help those in need. And whenever she needs a little help herself, her Guides are always there to assist in her development and provide clear interpretations for her clients. Prediction has always been a great tool she could count on to accurately foretell events, but Lucinda also draws on her expertise with Dream Interpretation, Numerology, Angel Cards, Law of Attraction and Life Coaching to provide full and detailed solutions to any problem. A member of AMORC and Beyond Freedom Evolution, she provides inspiration, education and personal support for spiritual development. If you'd like answers or want to attract your desires, you can find Lucinda at PsychicAccess.com.